Dr. Reddy’s Laboratories received a Form 483 with 11 observations from the USFDA after the inspection of Formulations Manufacturing Plant in Hyderabad. Bharti Airtel’s Kenya arm signed an agreement with Telkom Kenya to combine operations and will be called ‘Airtel-Telkom’. State Bank of India reduced its interest rates on home loans up to Rs30 lakh by 5bpsasis points. Reliance Industries stock in focus. Reliance Brands increased its stake in Future 101 Design to 15% for Rs2cr. The company also stated that its arm Reliance Retail Ventures increased its stake in Genesis Colours to 29.07% for Rs45cr. Prakash Industries said that it has modernised its Rolling Mill in Chattisgarh to improve the production of wire rods. Rural Electrification Corporation board approved incorporation of 5 project specific Special Purpose Vehicles for its transmission arm. EID Parry January sugar sales stood at 0.24 MT and export sugar sales at 0.19 MT. Power Finance Corporation stock in focus as NCLT approved amalgamation of the company’s wholly owned arm ‘PFC Green Energy’ with self. Cipla’s subsidiary InvaGen Pharmaceuticals Inc has completed the first tranche of 33.3% stake buy in US-based speciality business firm Avenue Therapeutics. Voltas to invest over Rs500cr in setting up a manufacturing facility in South India. 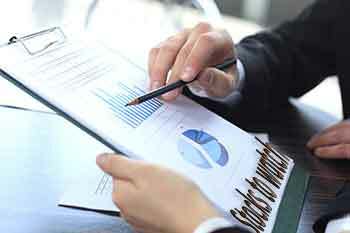 Results today: Eicher Motors, Motherson Sumi Systems, Amara Raja Batteries, Power Finance Corporation, Skipper, Spencer's Retail, CESC Ventures, Max Financial Services, Andhra Bank, Corporation Bank, Reliance Home Finance, Max India, Oricon Enterprises, Hindustan Aeronautics, Maharashtra Seamless, CARE Ratings, Somany Ceramics, Hindustan Copper, PI Industries, Ashiana Housing, Jaypee Infratech, Aarti Drugs, Sterling Biotech, JBM Auto, McDowell Holdings, Gujarat Narmada Valley Fertilizers and Chemicals, Dynamatic Technologies, Jindal Drilling and Industries, Gujarat Industries Power Company, Federal-Mogul Goetze (India), ITD Cementation India, The Great Eastern Shipping Company.